Check and Relief Valves | De-Mar Inc. Distributor of Circle Seal Controls industrial check valves. Circle Seal Controls is the industry standard for heavy duty, industrial service check valves. 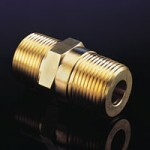 Check valves available in: brass, carbon steel, aluminum, and stainless steel. O-rings available in material compatible to media temperature and chemical compatibility. 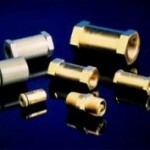 Connection sizes offered in ⅛” NPT to 2″ NPT. Various other non-standard inlet/outlet connections are also available. Wide spectrum of check valve styles offered. Low pressure units rated to 25 PSI with a cracking pressure of 4″ W.C. maximum. High pressure units rated to 10,000 PSI with a cracking pressure of 30 PSI maximum. Circle Seal check valves offer the special features of: low pressure, high pressure, ultra sensitive, positive sealing, and zero leakage. Standard units stock in Overland Park, KS! Call for competitive price quote! 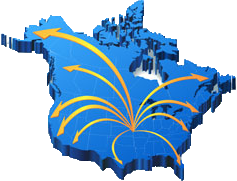 Distributor of Circle Seal Controls industrial relief valves. Circle Seal Controls offers high quality engineering and manufacturing in their relief valves. Relief valves available in: brass, naval brass, aluminum, and stainless steel. O-rings available in material compatible to media temperature and chemical compatibility. Connection sizes offered in ⅛” NPT to 1 ¼” NPT. In-line and pop-off styles available. Operating pressure available in vacuum to 5000 PSI. Wide range of cracking pressures offered up to 4500 PSI. ASME safety relief valves also available up to 1200 PSI. Most models of Circle Seal Controls relief valves offer: deflector cap, cryogenic service, adjustable cracking pressure, zero leakage, optional factory preset, tamper proof adjustment, and 100% seat leakage tested. 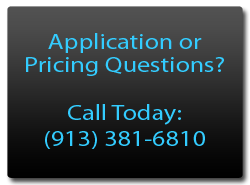 Contact De-Mar & Associates for application, engineering, and pricing questions! 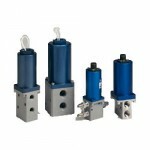 Circle Seal Controls offers the Atkomatic series of solenoid valves. Atkomatic line of solenoid valves available. Normally closed or normally open in direct lift, semi-direct lift, or piston operated. Solenoid coils available in and not limited to: 24, 100, 110, 115, 200, 220, 230, 380, and 460 VAC/60-50Hz. 12, 24, 48, 125, and 250 VDC. All NEMA ratings available. All lead orientations and specials available. 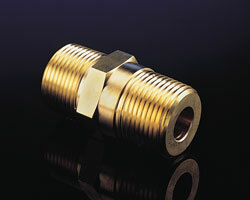 Valve size connection in ⅜” NPT to 3″ NPT. 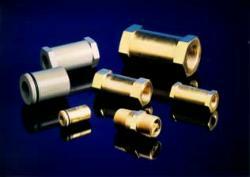 Valve bodies are available in brass and stainless steel. Pressure ratings and orifice sizes vary. Valve coefficient (Cv) is supplied for all units to properly size the correct valve for the application. Seal, seat, and pilot material selectable and determined by valve service and media. Safety solenoid valves for hazardous locations. Heavy-duty process solenoid valves for clean air, gases, liquids, steam, corrosive fluids, and cryogenic fluids. Call with new application operating parameters or Atkomatic solenoid valve part number for a quote on price and delivery!